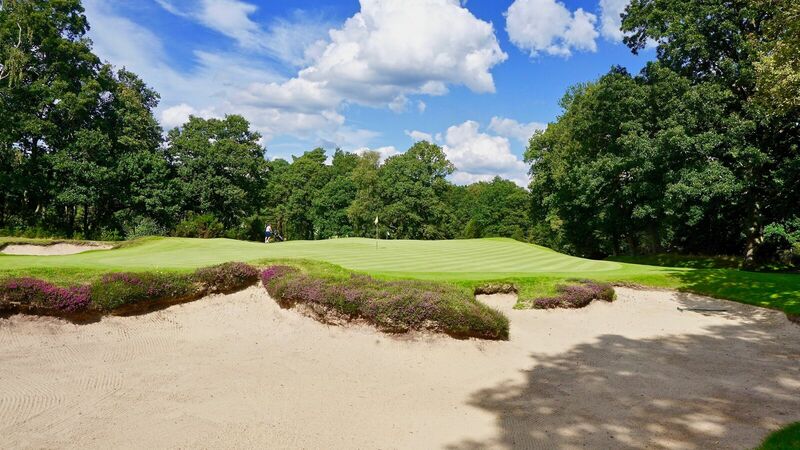 8 :: Liphook is a traditional golf club with one of the best courses in the country. Opened in 1923, the course was soon recognised by the R&A as an exemplary inland heathland course and is also an early example of strategic design for golf courses. 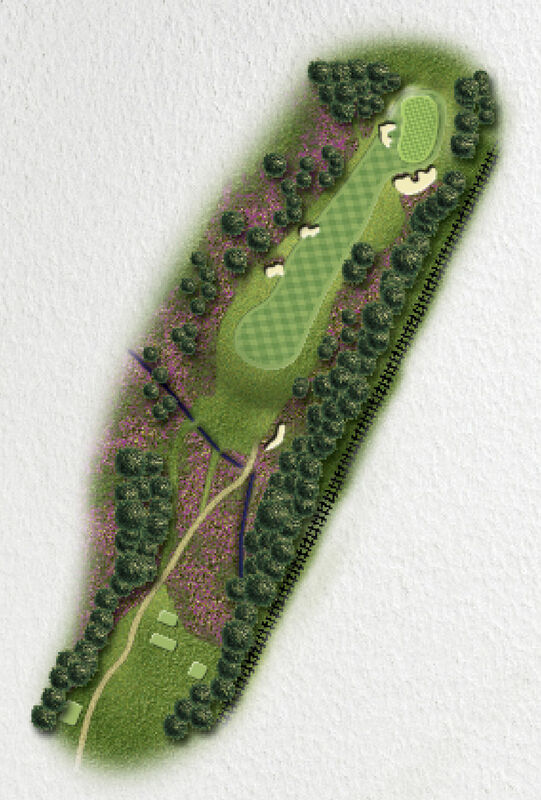 One of the many beautiful short par 4s here at Liphook and a classic ‘strategic’ hole. Your tee shot needs to favour the left side of the fairway, avoiding the bunkers, for the best angle to the green – but don’t run through it because there are steep banks on the other side. The green itself has some very interesting contours.